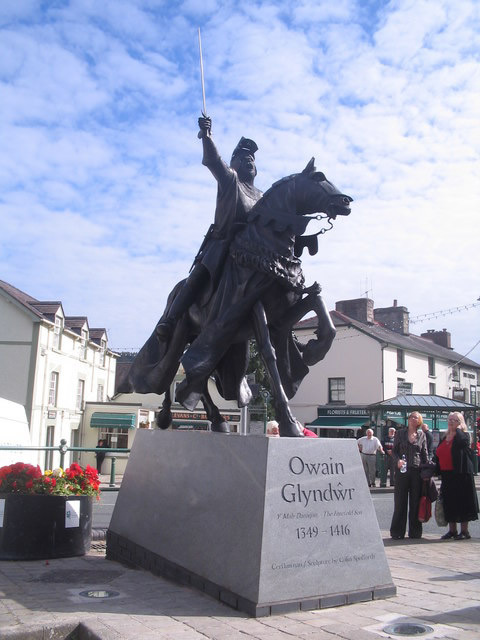 All of the lineages which eventually converged to form the Mostyn family played active roles in the national uprising which followed Owain Glyndwr being proclaimed Prince of Wales in September 1400. The head of the Pengwern family at this time was Ieuan ab Adda ab Iorwerth Ddu (d.1448). His father had married Isabel, the sister of Owain Glyndwr, making his involvement inevitable. In 1406 when other Welshmen had began submitting to the English Crown, both he and Rhys ap Gruffydd, the head of the Gloddaith household were still in rebellion, classified as outlaws by the English authorities. Both survived the revolt, perhaps disillusioned at its failure but seemingly unscathed – both successfully reclaimed most of their forfeited lands following the conclusion of the revolt. Hywel ap Tudur, the powerful and wealthy Flintshire ancestor of the Mostyns was also centrally involved. His frustration, resentment and hostility towards English rule and the privileges enjoyed by English settlers in a conquered Wales can be seen gradually increasing in the decades leading up to the revolt. 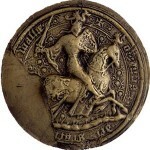 In 1394 he was responsible for orchestrating a violent demonstration against royal authority, attacking the justice’s sessions and court at Flint, breaking up the proceedings with a display of weapons, refusing to allow a royal mandate to be read, threatening to kill the deputy-justice and overturning the seat of the justice. This episode earned him a short period in the Tower of London. Flintshire’s involvement in the national uprising did not substantially begin until 1403. Henceforth, for the next three years, Hywel seems to have played a substantial role in the rebellion. He was formally pardoned by the English Crown in 1409.